Jalandhar: an important city in the Doaba region of Punjab. It significantly marks the culture and food habits of the region. You may come across absolute foodies in Jalandhar who love to have mouth-watering spicy food. From aromatic street food to a sophisticated meal, Jalandhar got all that an avid food lover would want. When we talk about famous food of Jalandhar, it includes vegan, non-vegan, desserts and everything. Because of the great number of NRI base in Jalandhar, a variety of cuisines also accounts as an integral part of eateries in the region. Let’s take a dig into Jalandhar’s famous food. Well, it might be difficult to express in words, a Punjabi’s love for Parantha. 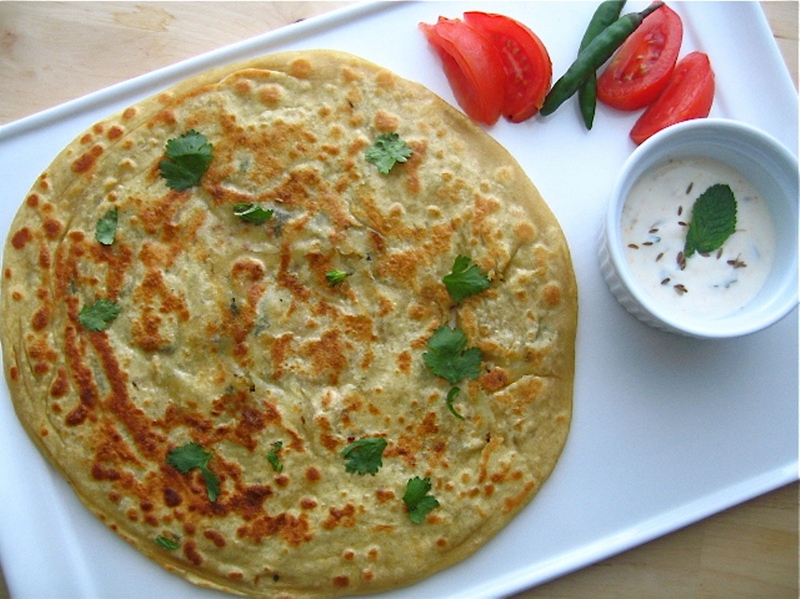 Through the annals of Punjabi food, we found that Parantha is a discovery of Punjabi cuisine. Thank god, this discovery happened. This ghee-laden bread when served with cold curd or a pickle is the way most people in Punjab like it. It is highly recommended to have Paranthas in an exotic dhaba of Jalandhar at ARK Vaishno Dhaba at Malind Nagar, Avtar Nagar, Jalandhar, Punjab. Well a complete meal that would make your mood so refreshing for the day. 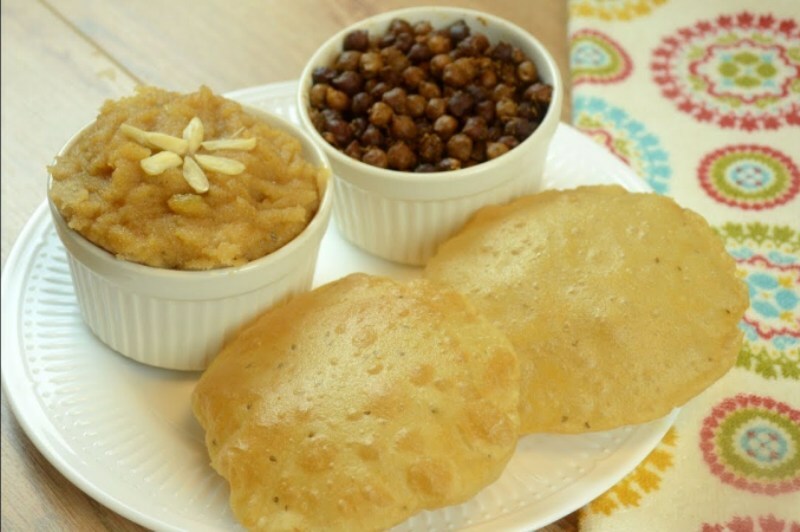 This meal comprises, spicy Chana paired with deep fried bread and toothsome Halwa. People in Jalandhar never miss a chance to grab a bite of this delicious dish and so shouldn’t you. Grab this tasty dish at Food Bazar near Madan Flour Mills Compound, Ladowali Road, Jalandhar, Punjab. Food without Lassi in Punjab would be like a Harry Potter without the scar. Yes, Lassi is all time favourite dish not only of Punjabis but it is widely loved by many people in India. In summers, Lassi is the best beverage to have to beat the heat. Do taste various flavours of Lassi at Chatter Box near Model Town Rd, Dera Satkartar Market, New Jawahar Nagar, Model Town, Jalandhar, Punjab. Jalandhar does have some of the oldest shops which are specifically famous for Jalebis. Jalebi is a sweet that can be found in many parts of India but what is so special about Jalandhar’s Jalebis? Few shops in Jalandhar like Sodhi Jalebi Corner, have mastered the art of making mouth-watering Jalebi. From the perfect amount of sugar to accurate crispiness, they make it all right. I am sure, you wouldn’t want to miss them right? Jalandhar accounts to a very high number of NRI base. Due to this reason, the food culture of Jalandhar has also been greatly influenced by multi cuisines such as Chinese, Italian, Mughlai, Continental, etc. The Sheer variety of food will keep you engrossed in the city. So, when you visit Jalandhar, make sure you try most of the cuisines that the city has to offer.